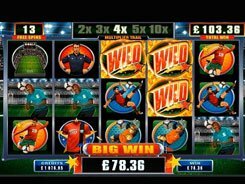 Basketball Star is a Microgaming-powered slot machine with five reels and 243 ways to win. The game’s theme revolves around basketball, so all of its symbols are somehow related to this U.S.-originated sport. 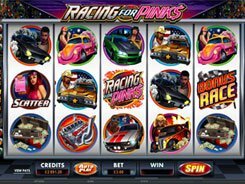 The wagers are adjusted in a wide range from $0.5 to as high as $250 per spin. The icons depicting basketball accessories, including coach tactic boards, shoes, medals and water bottles pay out 2 to 120 coins, for 3, 4 or 5 of a kind. The basketball players who are dribbling, passing or shooting the ball are more gainful symbols that yield up to x600 times a bet. 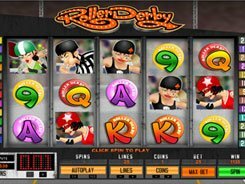 The Ball symbol scattered on the reels triggers 15, 20 or 25 free spins with the Rolling Reels feature and a massive multiplier of up to x10. 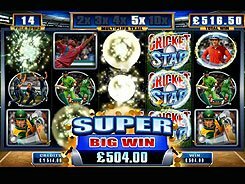 Besides, a scatter pays out independently, with these five producing an unbelievable win of x12,500 times a total bet. 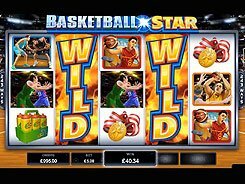 The Basketball Star logo that acts as a wild comes stacked on reels 3, 4 and 5, to boost your winnings. 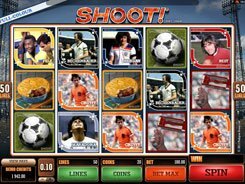 Overall, this engaging slot will appeal to modern slot fans, high rollers and gamblers who like top-quality solutions. PLAY FOR REAL MONEY!